Do You Really Understand Odds – Here’s The Guide For You if You Don’t! 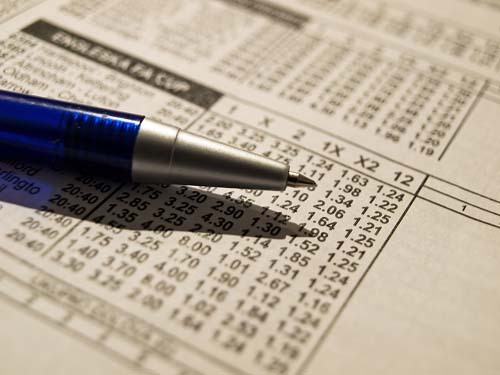 Betting odds need to be explained for the following reason: newcomers to the world of sports betting. It can really sound and look confusing to see a bunch of different numbers being thrown out all over the place, but it’s okay — you can get in the game quickly as soon as you learn odds. All odds really are is just an expression of how likely an outcome is to take place. You have decimal odds, also known as European odds. So 100 / 10 = 10. This means that if you try to bet on an event that has decimal odds of 10, you can win quite a bit. Indeed, every pound you stake you will receive 10 pounds back. So if you staked 10 pounds, you’d get back a hundred pounds. Fractional odds is what gets people into trouble. Let’s use a different example — you assume that you have a 20% chance this time around. In terms of fractional odds, this would be expressed as 4/1. This means that for every 1 time you win, then 4 times you will lose. You have a 20% chance of winning, and an 80% chance of losing. So if you place a bet of 10 pounds at 4/1, then you will win 40 GBP and have your 10GBP stake returned. US odds work a little differently. American odds are known as lines, or money line odds. If the US odds have a + sign in front of them, then that means they are showing you the amount you would win for a $100 stake. If there’s a – sign, then it means that it’s showing you how much you need to stake in order to win 100$. So let’s say that you’re betting on an event that has a decimal odd of 5, or fractional odds of 4/1. The US odds would therefore be +400. If you are betting at decimal odds of 1.5, or fractional odds of 1/2, then the US odds would be -200. Negative US odds will always show you how big a stake is needed for a winning of 100 units. So what about terms like “even money”? Well, this is when the return will be double your stake. The profit on your bet will always be the same as the amount that you staked. Indeed, you and the bookmaker are risking the same amount on the bet. When you see that the bookmaker is taking bets, it’s called “laying odds”. Your bet is known as the “stake”. Short odds are usually in your favor — your selection has a good chance of winning. You don’t get a large return on this, but short odds games can be pretty fun. This is different from long odds, where your selection has a poor chance of winning. However, this is where you can really make some money! Don’t beat yourself up if you had to really read this guide a few times in order to understand odds. This is core knowledge for any punter, so keep that in mind and good luck! Previous Article Previous Article: Don’t Skip Over THIS Resource at the Sportsbook! Next Article Next Article: Sports Picks Aren’t Made of Gold – Get Over It!